No controversial blacked-up Zwarte Piets will be present at Amsterdam’s official Sinterklaas celebration, according to ANP. 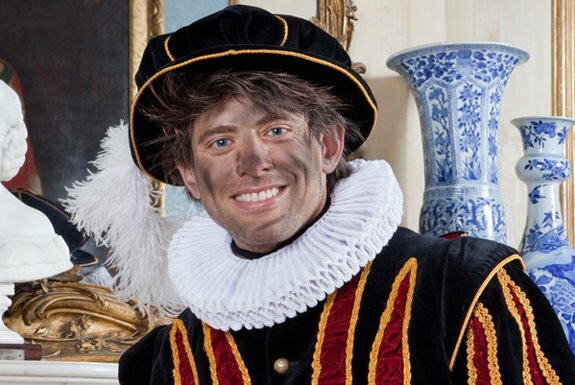 The Sinterklaas in Amsterdam foundation (SSIA) has decided instead that Sinterklaas’ helpers should have their faces daubed with chimney soot, representing the modern tale that they climb down chimneys to deliver presents. Spokeswoman Pam Evenhuis told the news agency that Amsterdam mayor Eberhard van der Laan knew about the decision, but that they had been hoping to keep it a surprise until the celebration on Sunday 13th November. Last month broadcaster RTL said that only ‘chimney Piets’ would be shown on its festive television broadcasts. The children’s ombudsman Magrite Kalverboor said in September that the modern character – blacked up and with thick, red lips and frizzy wigs – contributed to ‘bullying, exclusion or discrimination’ and contravened the UN rights of the child. In 2014 Amsterdam said three-quarters of its Piets were blacked-up, and half last year. A quarter were expected to remain ‘traditional’ this year until the leak. In October 2013, van der Laan wrote to Amsterdam city council members saying that the presentation of Zwarte Piet ‘can lead to racism’ and although it was a question for the people, officials ‘can do their best to lead the discussion along the right lines, so that Sinterklaas is a festival for everyone’. But polls show the majority of Dutch people support the blacked-up Zwarte Piet and the Dutch Telegraaf has launched a campaign asking people to send in photos of their favourite moment celebrating the character.